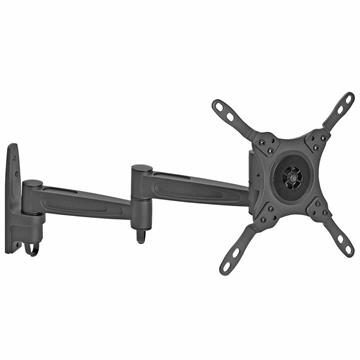 Many flat screen TV wall mounts are available. Swivel TV mounts for flat screens can turn as much as 90 degrees one way. Many tilt up and down, some with screen levelers. From full motion to tilt and fixed flat screen TV wall mounts, there’s a bracket for any TV within these sizes: 17, 19, 21, 23, 25, 27, 32, 37, 42, 46, 48, 49, 50, 52, 55, 58, 60, 63, 65, 75 inches.